CHESTERVILLE - Structural work to stabilize the steeple of the 167-year-old Chesterville Center Meeting House may soon be underway, thanks to assistance from the Maine Community Foundation. The non-profit Maine Community Foundation provides funding and incentives for community-building programs throughout the state, with the aim of ensuring a strong future for all Maine residents. In this case, a Steeple Assessment Grant awarded to the non-profit Chesterville Center Union Meeting House has enabled the organization to obtain an expert analysis of the structures supporting the antique steeple and its heavy cast metal bell. The results of this analysis can be used to apply for a Steeple Grant, for 50 percent funding of any recommended repairs. If awarded, the Meeting House organization will have to find matching funds elsewhere. "It's possible that we will have to raise a few thousand dollars from other sources if we do receive an MCF Steeple grant," observed Carolyn Drugge, board president, "but that's just part of the process of keeping this worthy building sound and usable for future generations, which is what we are all about." 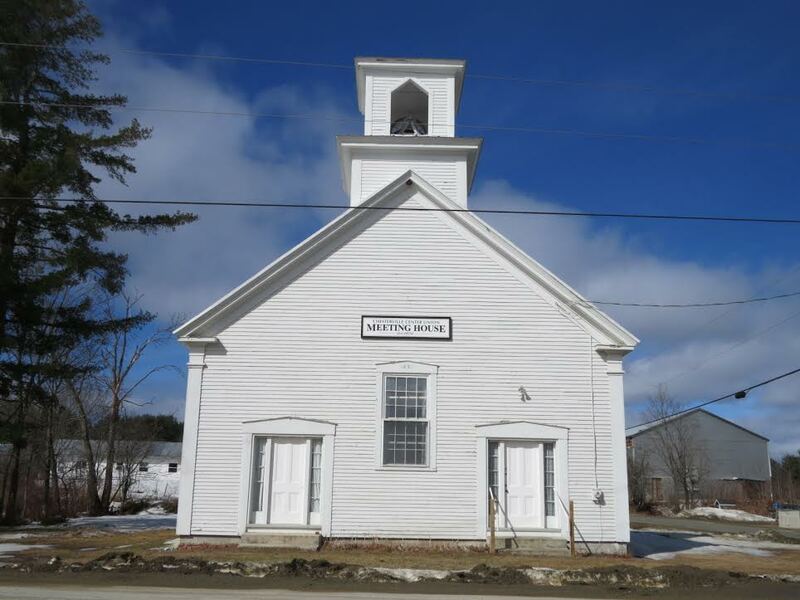 Since 1851, when it was erected to replace a previous meeting house that residents moved to the other end of town, the Chesterville Center Union Meeting House has served as a gathering place for both religious and civic purposes. Its resonant bell was rung throughout the town's history to signal warnings, celebrations, tragedies and triumph, in the days before mass media. The building is currently serving as a non-profit community center hosting a wide range of events. It is maintained by a volunteer board of directors as well as community volunteers. The next event scheduled will be the April 20 performance by Michael Cooper, returning with his wildly popular tribute to his father, the late Everett Cooper, large animal veterinarian. Other events this season will include a May 19 concert by the renowned David Mallet Band, a June 17 concert by the locally popular Barry Wood, a July 23 Invasive Plants workshop, and an August 18 concert by national award-winning singer-songwriter Ruth Hill. For details visit the website www.chestervillemeetinghouse.org. 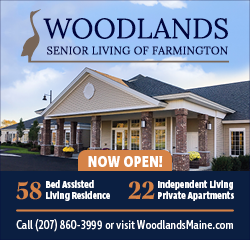 or call 778-3767. These miserable posters have never been anywhere else. If they saw some of the world ,they'd be very grateful to be here. Or maybe not. Great to see those old building preserved... Sad to see some of the old houses and other ones falling down or being removed and replaced. You need to broaden your horizons, if you think Chesterville is the only place with run down, falling down, and replaced buildings. Darlene.... It looks like you are slinging your arrows at me... as I was the only one that said anything about old houses etc... If it is me.... I will put my horizons up agains yours any time. I have been around the world, across the county and the horn a couple of times in my many years.. If the shoe fits wear, I was making a fact, didn't know you existed, hope that don't pop you bubble. My horizons out stretch yours any day of the wee. Darlene, if you were just stating a fact then your sentence should say something like... " The fact is Chesterville isn't the only place... Instead it reads like you ( Darlene ) are addressing someone specific.